A new scientific analysis shows prescriptions for naloxone, a medication designed to rapidly reverse opioid overdose, has increased ten-fold in the past eighteen months. Naloxone is traditionally distributed through community programs. 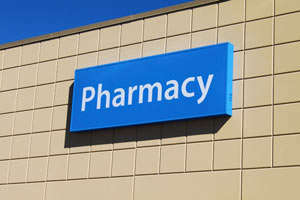 To help address the recent dramatic numbers of overdose deaths from opioid pain relievers and heroin in the United States, there has been an increased focus on naloxone prescriptions in the outpatient setting, particularly through retail pharmacies. In 2014, more than 18,000 people died from an opioid pain reliever overdose, or nearly 50 people per day, and over 10,000 died from heroin-related overdoses, a rate that has more than quadrupled since 2002. Naloxone is currently approved by the FDA in both injection and nasal spray formulations to treat opioid overdose. The authors found a 1,170% increase in prescriptions of naloxone dispensed from retail pharmacies in the U.S. between the fourth quarter of 2013 and the second quarter of 2015. These findings suggest prescribing naloxone in the outpatient setting can complement traditional community-based naloxone programs. For a copy of the abstract, “Increase in Naloxone Prescriptions Dispensed in US Retail Pharmacies Since 2013,” published in the American Journal of Health Promotion, and authored by Dr. Wilson M. Compton, M.D., deputy director at the National Institute on Drug Abuse, and scientists from the U.S. Department of Health and Human Services and the Food and Drug Administration, go to http://ajph.aphapublications.org/doi/abs/10.2105/AJPH.2016.303062. NIDA. "Naloxone prescriptions from pharmacies increased ten-fold." National Institute on Drug Abuse, 18 Feb. 2016, https://www.drugabuse.gov/news-events/news-releases/2016/02/naloxone-prescriptions-pharmacies-increased-ten-fold. NIDA. Naloxone prescriptions from pharmacies increased ten-fold. National Institute on Drug Abuse website. https://www.drugabuse.gov/news-events/news-releases/2016/02/naloxone-prescriptions-pharmacies-increased-ten-fold. February 18, 2016.